Do you want to help create safe streets, a healthy city, and a vibrant voice for cycling in Toronto? Are you looking to spend your summer with like-minded folks championing life on two wheels? We have just the thing! We want YOU to join our team of Bikewatch volunteers. Opportunities include supporting Bike Valet, outreach at Bike Month & Get Lit stations, and assisting with special events and member recognition. 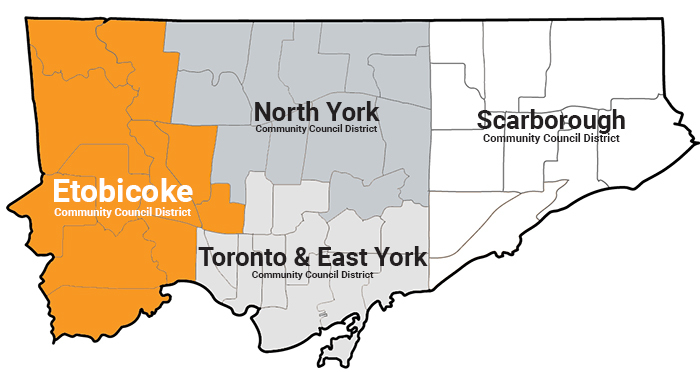 Do you hail from the orange zone on this map of Toronto, and passionate about a particular cycling or safety issue in your neighbourhood? If so, join activists from across Etobicoke for the fourth in a series of District Advocacy Summits*. These events are a great way to get connected with local bike advocacy projects in your area. We're counting down to our Annual Coldest Day of the Year Ride! What better way to build momentum than to feature Toronto riders who commute by bike year-round - regardless of the weather? To kick things off, here's how Director of Programs, Keagan, dresses for those cold, blustery days - and why she chooses to ride even when the forecast isn't the friendliest. Read more about Countdown to the Coldest Day of the Year Ride: "#vikingbiking? Nope, just going to a meeting."